Did you forget to turn your car lights OFF? 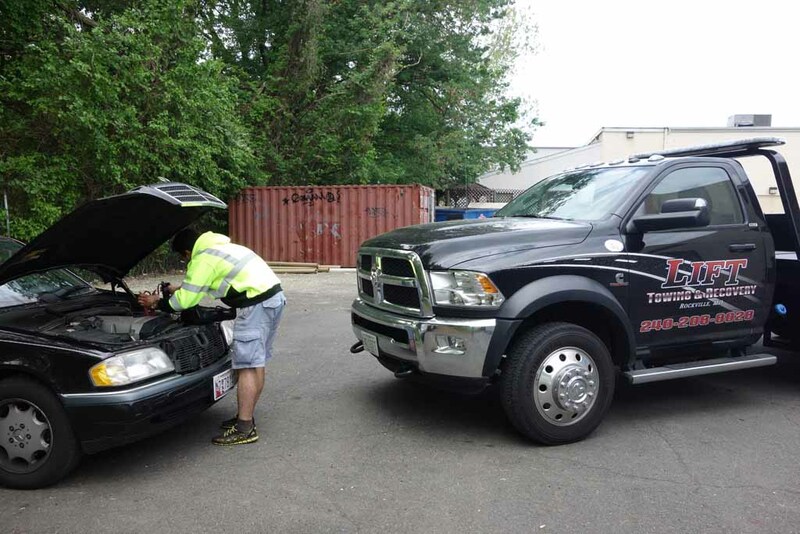 Don’t worry, contact Lift Towing, to be provide with an emergency auto jump start service. We also offer on-site mobile vehicle battery replacement. Locked your car keys inside the car? 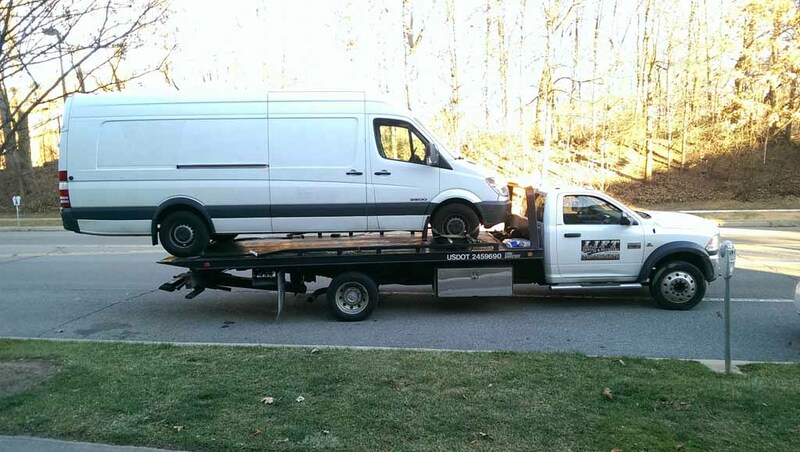 No problem, contact Lift Towing for an emergency auto lockout service. 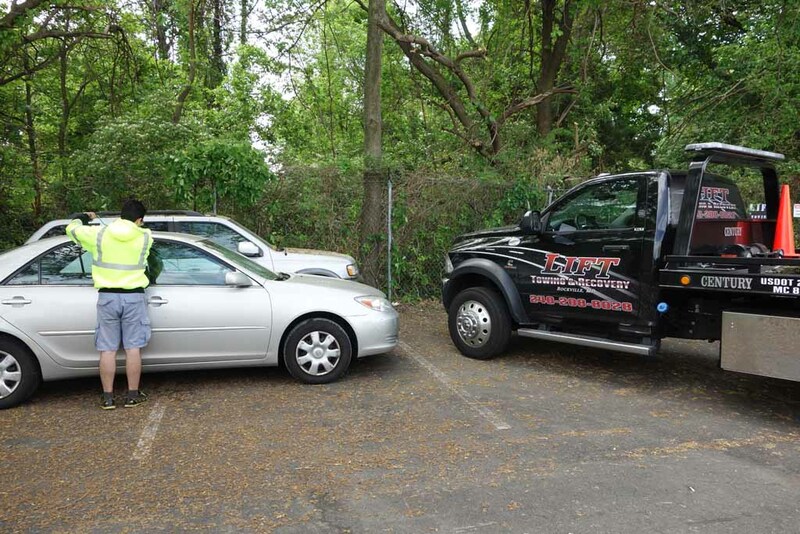 Our highly trained personel will open your car door "damage free" so you can get back to your daily routine in no time. 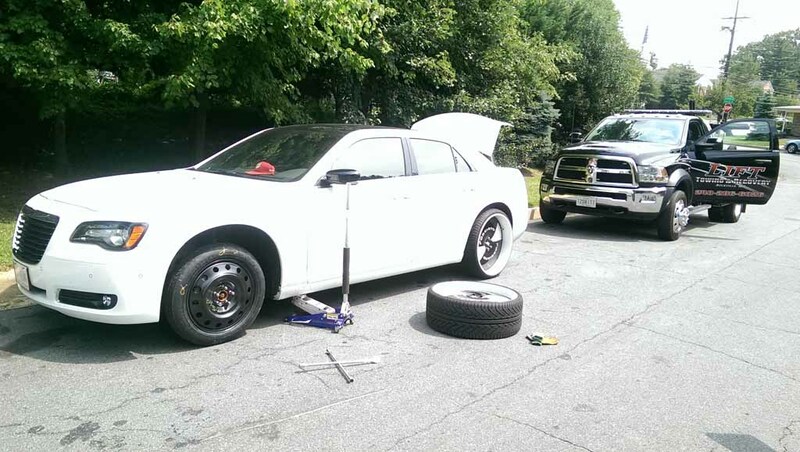 Rely on our speedy 24/7 emergency mobile tire change & repair service in. As long you can provide us with a spare tire, we can change it. In case of not having one we also offer mobile tire repair. Lost your lug nut key? No problem, we have top of the line new equipment and can repair any tire. Run out of fuel in the middle of the road? This is very unpleasant situation. Count on us, we will deliver to you gas, diesel immediately. Low level of coolant, oil or other fluids – no problem. Just explain us what you need and you’ll get it. Are you in a really tight spot? Can’t get your car out of a ditch, snow, mud, water or sand? A winch out may be the solution for you. If you are involved in an accident and need a lift, call us no matter what time of the day or weather conditions. Your car stopped in the middle of the road? Don’t know what’s the problem? Call us and we will take your vehicle to the repair shop that you trust. If you don’t know a place to take your car to, we can recommend one of the many mechanics or body shops, we work with. Do you have an All Wheel Drive (AWD, 4x4, 4motion, 4matic, X-Drive) Car or SUV that needs to be tow to a place? Don't worry, many people do not know that Dollie Wheel is a Special Equipment that is use to TOW ALL WHEEL DRIVE VEHICLES, damage free. 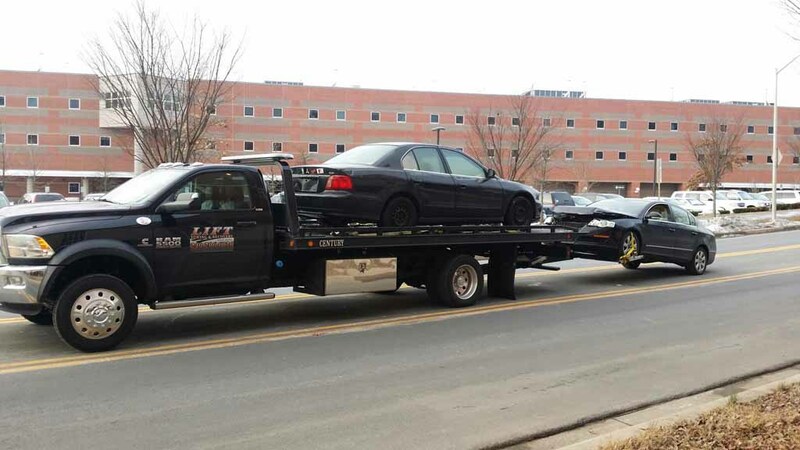 So whenever you are in need of towing your AWD Vehicle, there is no need to call for a flat bed tow truck. 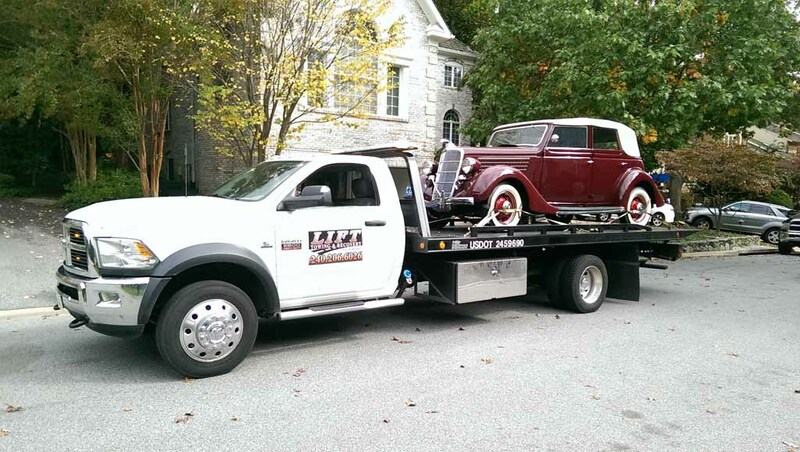 Rely on Lift Towing & Recovery for a prompt and professional towing services. 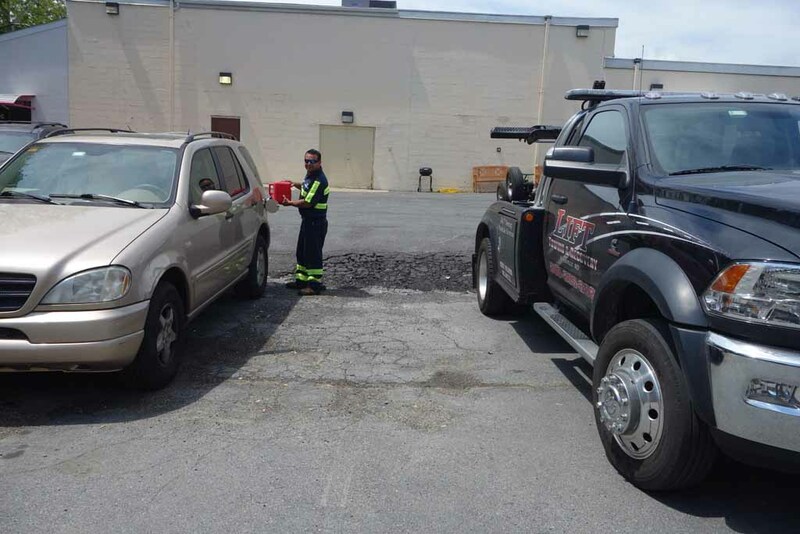 Upon special request, you can use our VIP Towing service. This means, we will take your vehicle to the repair shop and then we can take you to your home, work place or some other requested from you location. Special rates and extra fees apply for this service.